2009/05/14, originally uploaded by somjuan. 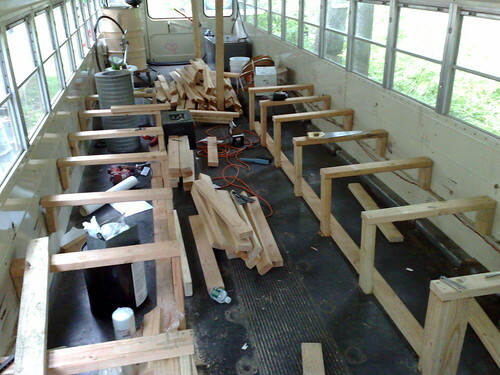 So the benches are coming along nicely, and the framing is just about complete. At this rate, it looks like we’ll be able to get most of the construction done by Sunday (though we’ll need a little more time for painting and finishing.